Hey, everyone! It’s Lynnea Hollendonner! 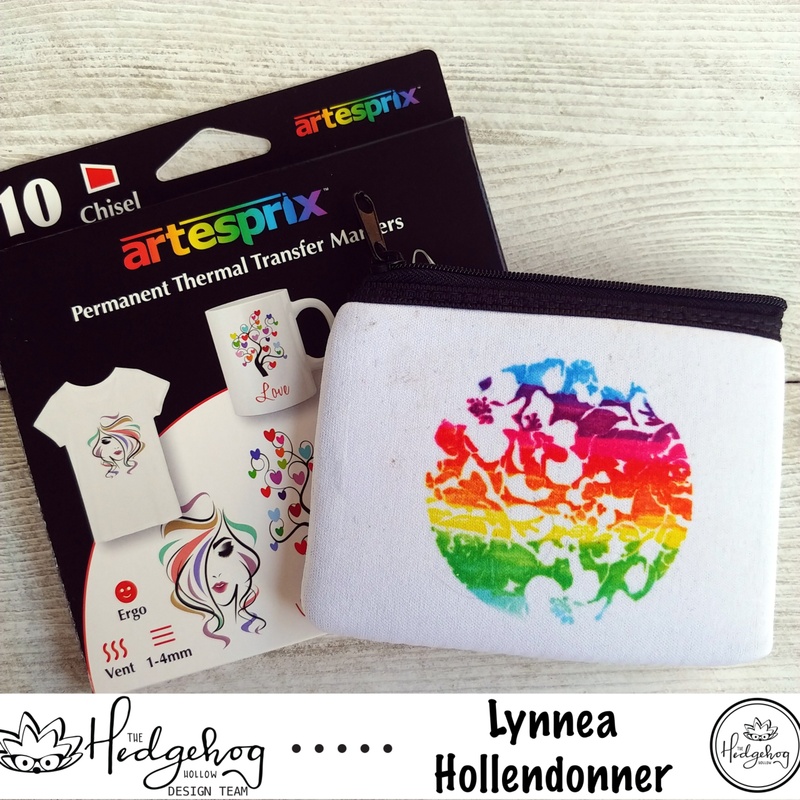 I have one last project to share using the Artesprix markers in the March box from The Hedgehog Hollow! 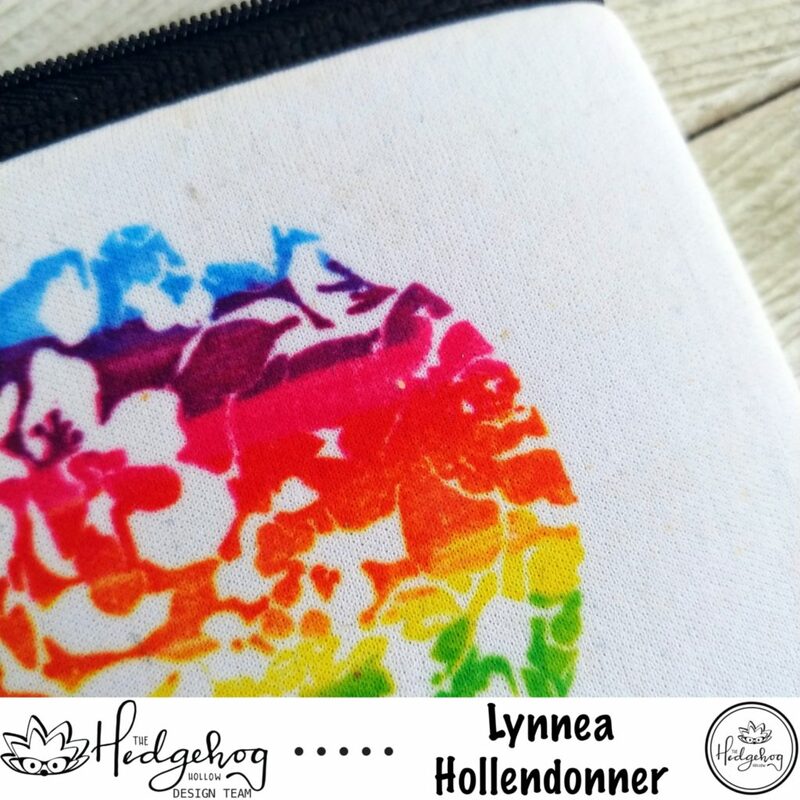 This time I made a quick and easy rainbow coin purse! I love the Circles and Sentiments stamp set from The Stamp Market – especially this floral circle image! And of course I had to “rainbow” it! Haha! I used 6 markers from the pack. I mounted the image in my MISTI so that I could stamp it repeatedly onto some computer paper. I started in the middle with the orange color and colored directly onto the stamp and stamped it onto the paper. I moved on to the pink and overlapped where I had colored the orange. I did the same with the other colors making sure to overlap. The colors didn’t blend as I had hoped, but I still think it’s pretty cute! Once my stamping was done I placed the computer paper image side down onto the coin purse and pressed an iron straight down for about 4 minutes. That’s all! So simple, right!! And I love that you can do this with any stamp you have and love! Thanks for stopping by to see my project!